John Francis Alexander Heath-Stubbs (1918-2006), Poet. Sitter in 10 portraits. Peter Edwards (1955-), Painter. Artist of 7 portraits, Sitter in 2 portraits. 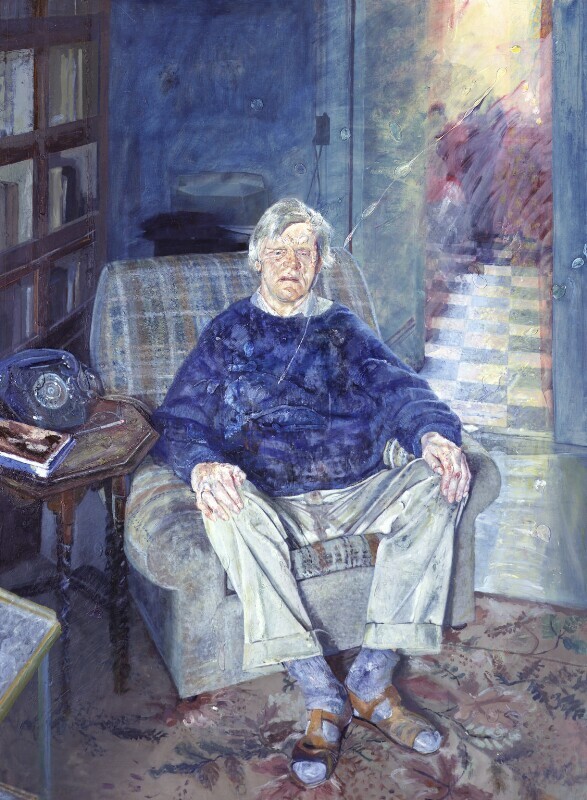 The portrait is set in the poet's London home; it took some two years to complete and was one of a series of portraits of poets by the artist shown at the National Portrait Gallery in 1990.